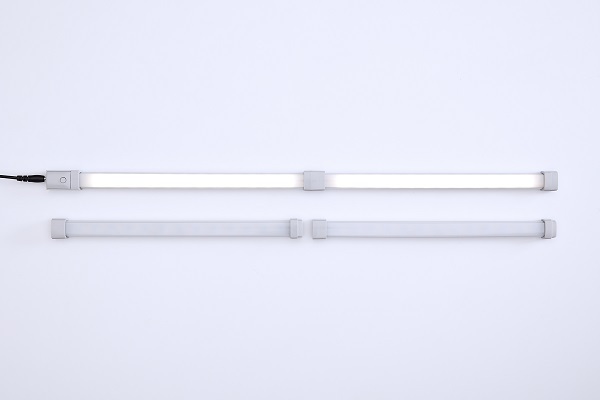 LightCorp, a leader in the design and manufacture of high-tech lighting products for office and industrial environments, has launched CLIQUE, the newest and most economically priced linear LED (light-emitting diode) fixture in the company’s under-bin lighting family. LightCorp created CLIQUE to meet the needs of furniture specifiers, designers and facilities managers looking for high-quality under-bin lighting at a competitive price point in an ever-changing office environment. “CLIQUE represents a world-class product developed around our customers’ desire to have something better. Offering a high-quality, competitively priced under-bin LED fixture gives our customers more flexibility with their lighting solutions. We’re confident our customers will appreciate the value this light delivers while enjoying the quality of a LightCorp product designed and developed in Michigan,” said LightCorp General Manager Kyle Verplank. With the maturation of LEDs in the marketplace, LightCorp is pleased to add CLIQUE to its product portfolio. The marketplace is switching from florescent lighting and adopting LEDs as an industry standard. Over the last few years, imports have flooded the marketplace, filling the need for low-cost under-bin lighting. CLIQUE features a sleek form with single touch on/off power and a silver-color finish. The product’s bright 3500K mercury-free LEDs with an 83 CRI ensure that every work surface will exceed the critical comfort levels required to perform visual tasks. The LED-rated lifespan is 60,000 hours. Material content recyclability by weight is 80 percent. The product is ETL-listed and UL-compliant. The standard lead time for CLIQUE is two weeks. CLIQUE is sold through LightCorp’s network of dealerships across North America.